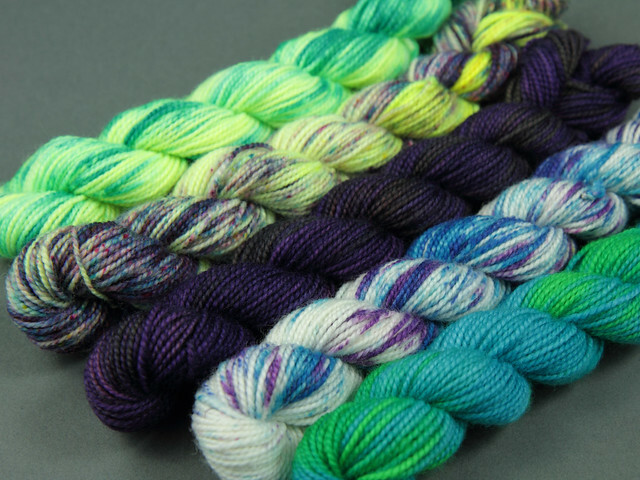 This mini skein collection contains 5 vibrant shades for a fade project, or to add a contrasting pop of colour with other 4 ply yarns. 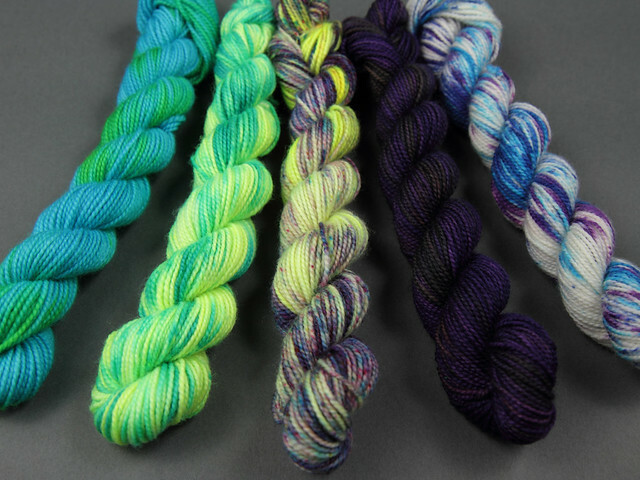 We have carefully created a set of shades with repeating tones so that the colours can be ordered in different ways for various gradient effects. 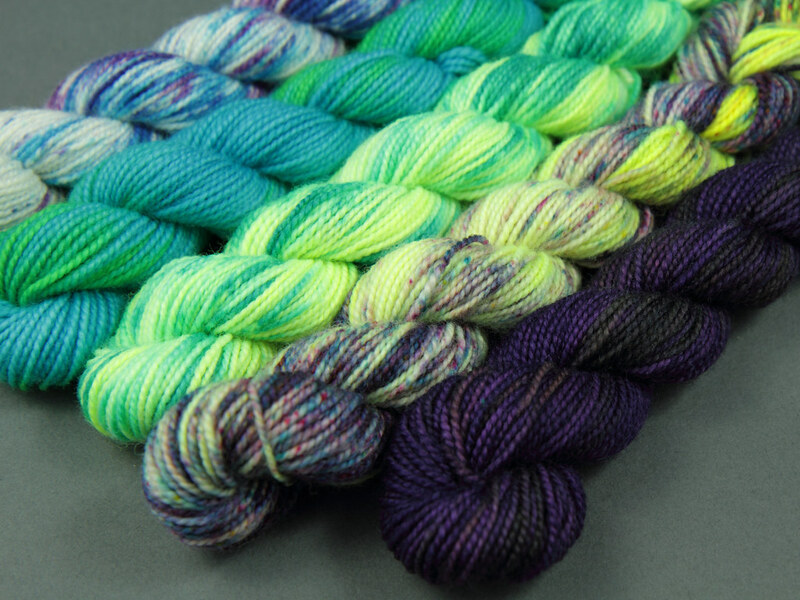 These mini skeins can be mixed and matched with our Favourite Sock yarn as they are exactly the same weight and high-twist construction (though a slightly different fibre blend).